A ground-breaking development in silver technology! 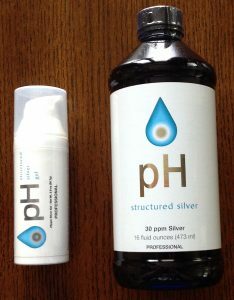 The new pH Structured Silver technology outperforms older silver aquasols, colloidal silvers and silver salts. Available only through professionals as pH Structured Silver, Dr. Frank has used silver to treat infections from head to toe on 5 continents. The finest and newest silver technology for enhanced benefits on maintenance and treatment regimens. Global Mission Partners teams ALWAYS travel with pH Structured Silver and have enjoyed a remarkable level of health while avoiding many pharmaceutical drugs with their attendant side effects.